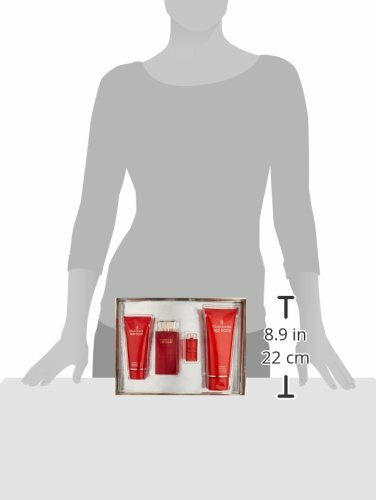 Elizabeth Arden Red Door Holiday Set: Eau de Parfum Spray, Body Lotion, Bath and Shower Gel, Parfum Replica, 595 g.
Product prices and availability are accurate as of 2019-04-20 08:10:31 EDT and are subject to change. Any price and availability information displayed on http://www.amazon.com/ at the time of purchase will apply to the purchase of this product. Perfect to give or to get. Experience the romantic sophistication of red door, Elizabeth Arden's iconic signature fragrance. Glamorous and elegant, Elizabeth Arden red door is a mélange of rich, rare florals, including freesia, red roses, and orchids. Honey and sandalwood set a sensual mood for a glamorous finish. The fragrance: sophisticated bouquet forms a signature scent: red door instantly gets noticed with an opulent essence of lily of the valley, opening into a vibrant trail of freesia and wild violets. Top: lily of the valley, freesia, wild violets. Expressive floral essences radiate confidence: the heart of red door continues to provide an endless source of inspiration and expression. A stunning bouquet of red roses, Moroccan orange flower, jasmine, and ylang ylang creates an impression of sophistication and style. Mid: red rose, Moroccan orange flower, ylang ylang, jasmine. Sensual scents create a glamorous finish. Magically evocative notes immediately awaken one's deepest senses with a unique lingering essence of honey, oak moss, and sandalwood. Base: oak moss, honey, sandalwood. 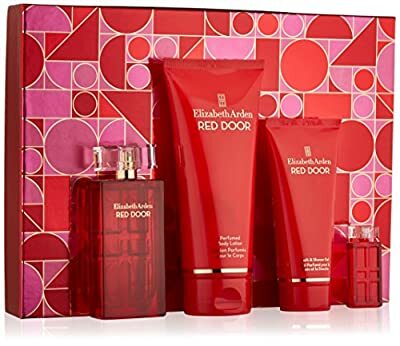 This gift set contains: red door eau de parfum spray naturel, 1.7 fl. Oz, red door perfumed body lotion, 6.8 fl. Oz, red door bath and shower gel, 3.3 fl. Oz, red door parfum replica, .16 fl. Oz.